What’s so great developing a strong sense of Self and living as your true Self? Isn’t that just for 20-somethings and new-age hippies? Not quite . . . the Sense of Self Method is all about understanding yourself for who you truly are. Knowing yourself is one of the most powerful tools you could ever harness. It leads to success, happiness, fulfillment, and much more. At Healthy Sense of Self, we’ve made it quite clear what our mission is: helping you discover or re-discover your truest self and live your life in a way that is reflective of that Self. 1. You consciously make your own decisions. In order to be, I do not have to do; in order to do, I first have to be . . . People who follow the Sense of Self Method consciously choose to do what their own Being truly wants to do, which leads to our next point . . .
2. You understand why you made those decisions. As we free ourselves from our dependency on outside influences, we learn to truly see and understand the reasons behind our actions. With the roadblocks no longer in our line of sight, our true intentions become clearer. The entire Sense of Self Method was created by a need to find restful sleep each and every night no matter what the day has thrown at us. It is only with the understanding of our own self that we able to put the worries of the day behind us. Not being dependent on the outcome of our activities or on what others think allows us to “Feel-good-about-ourselves” so we can let things go. Tomorrow is another day in which we can fix what’s wrong, whether that’s in terms of our health, relationships or job. 4. Your relationships will improve. Ever feel that intense tension while visiting family during the holidays when a sibling brings up a past argument? It happens to the best of us. But rest assured that when you become more conscious of all of the decisions you make you will be able to think more clearly in heated moments, improving your relationships with those around you. 5. Your past doesn’t dictate your future. By gaining a Restored Sense of Self we are able to make decisions that do not revolve around things that occurred in our lives in the past. With insight on where your motifs to do or avoid certain things stem from, bad experiences no longer have the power to suffocate our day to day lives. 6. You solve your own problems. Been going to therapists for years to no avail? That’s because there’s no one who will ever be able to get to the root of any issues in your life other than you. With a healthy Sense of Self, you’ll be able to see those roots more clearly than ever before and take action in favor of your self. 7. You help create a better world. What’s happening to each and every one of us on the inside is a reflection of what’s happening to the world-at-large, right? And having a strong Sense of Self improves one’s own quality of life, which affects the way that person treats all others they come into contact on a daily basis. Personal health and well-being can extend out to our families, neighborhoods, communities, states, countries, and our planet. By teaching others about the Sense of Self Method we’re creating a ripple that will continue to spread its influence everywhere it travels . 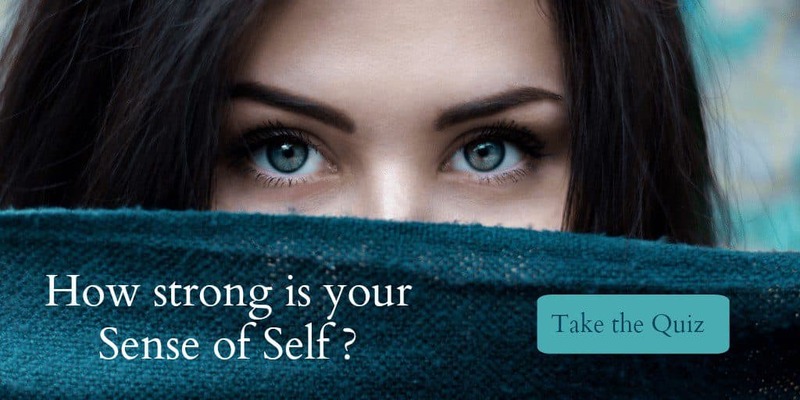 . .
To learn more about the Sense of Self Method, be sure to subscribe to our newsletter and, if you haven’t already, take our Self-awareness Quiz.